Animals on Earth & Beyond | iiaa Ltd | The UK and Ireland distributor of Environ Skincare, jane iredale makeup and Advanced Nutrition Programme. 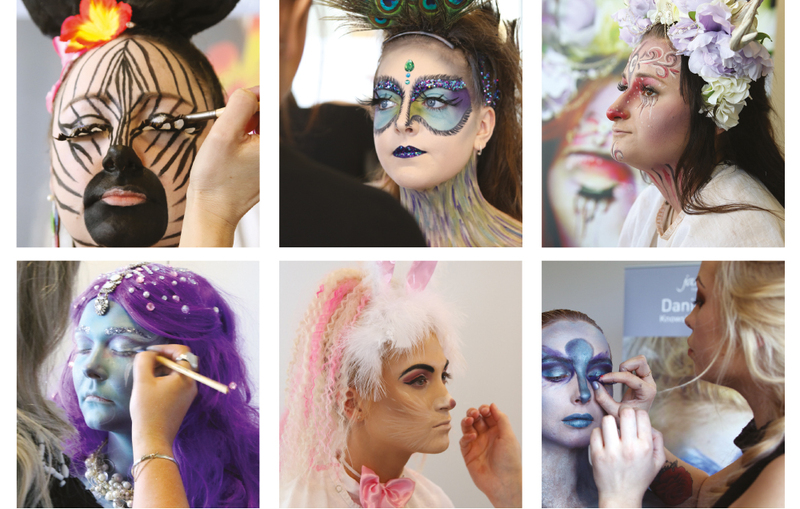 Our annual jane iredale Student Competition, hosted by our iiaa College Programme, culminated in an exciting live final on 5th April at our Head Office. Six talented finalists beat over 200 entrants from colleges around the UK and Ireland for their creative interpretations of this year’s theme: Animals on Earth & Beyond. They received two days of advanced training ahead of the event where they honed their skills and practised their look under the watchful eye of our expert make-up artists. They then re-created their theatrical looks using jane iredale Mineral Make-Up in front of an expert judging panel including Anushka Patel, jane iredale Brand Manager, Jennifer Edwards, Head of the iiaa College Programme, Lavinia Orsi, Senior jane iredale trainer and Melissa Consantinides (@mellysophiamua), a celebrity make-up artist and host of Channel Five’s 100% Hotter makeover show. First prize was awarded to Anna Lumsden from Guildford College. She won a jane iredale make-up kit worth £1000 and her college received £1000 of make-up to use as a training tool. “It feels absolutely amazing to win, I’ve never been so shocked in my life. I worked so hard for this and it means a lot”, said the worthy winner. “I was inspired to do a peacock because they’re such bright, beautiful birds andI love working with colour.” After graduating, Anna hopes to become a successful make-up artist for major fashion houses. “We’re extremely impressed with the calibre of entries this year, the interpretations of this year’s theme has been fantastic”, said Jennifer Edwards, who heads up our College Programme.